Global Warming is anticipated to lead serious crisis to the future of human beings and biogeocenosis and we cannot afford no further delay to take action for the solution. 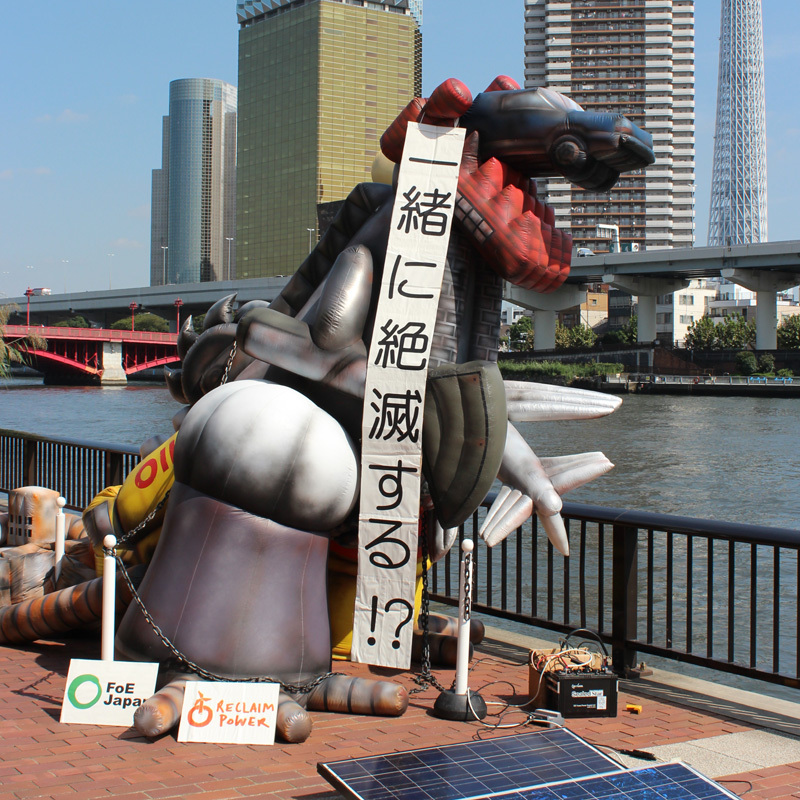 FoE Japan makes policy recommendation for the construction of fair international framework and the shift to low carbon society, cooperates with companies and local communities, and conducts diffusion educational activities. 【Press Release】People Power Again! Following Soga, proponents canceled their coal-fired power plant project in Sodegaura. [Press Release]Victory of People Power! Soga Coal-fired Power Plant Project is canceled! !